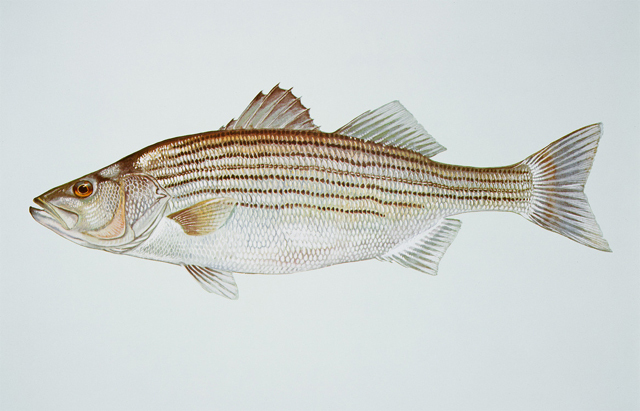 Striped bass; artwork by Timothy Knepp / USFWS (public domain image on Wikipedia). 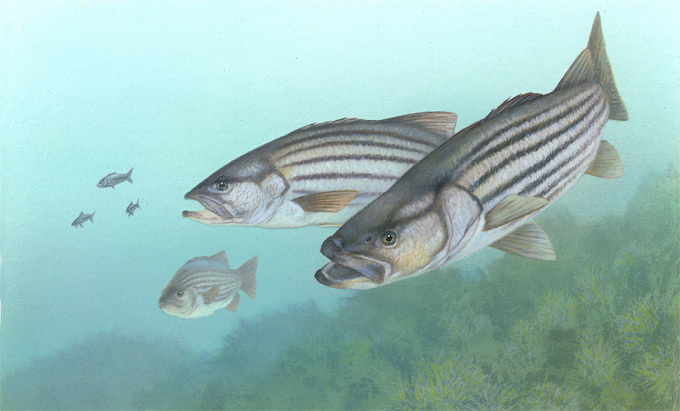 South Carolina designated striped bass (Morone saxatilis) as the official state fish in 1972. "Stripers" are the state's most famous game fish. Striped bass are large in size (many stripers weigh 30 to 40 pounds) and aggressive in nature, making them a favorite for angler's. South Carolina's Santee Cooper Lakes were the original home for the landlocked striped bass and some of the best striped bass fishing in the world can be found in these lakes. These great game fish are now also stocked in all of the South Carolina's major reservoirs.